It looks like something just rolled out of the grave! 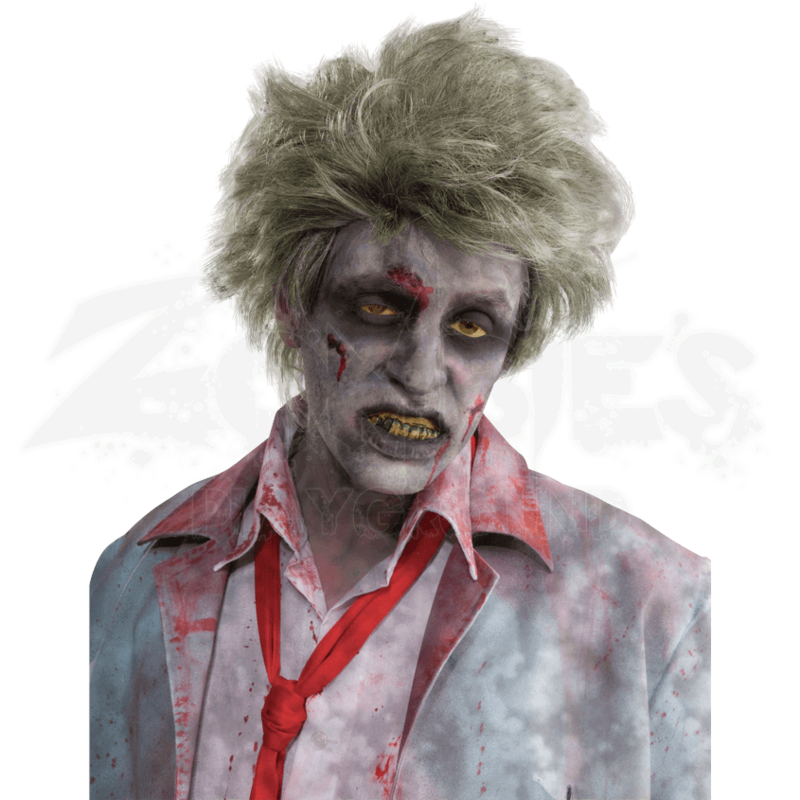 When it comes to zombie hair, the Grave Zombie Wig is the perfect combination of deathly color and unkempt style for giving a zombie that fresh out of the grave look. This wig features short, tousled hair that tends to stick out in several different directions, which gives the wig and the wearer a wild and unkempt look. The wig is made from 100 percent synthetic hair and features a black mesh cap on the inside for a comfy fit. And with its layers of unruly hair and its gray, green-tinged color, this wig definitely has the dead look that will make it the perfect addition to any zombie costume. You are sure to be ghoul of the year wearing this Grave Zombie Wig, considering that your hair is likely as scary as your costume is!